Forensic accounting has become one of the fastest growing areas within the accounting profession. This type of accounting involves the discovery, analysis and presentation of financial information in the context of disputes, investigations and litigation. There are two main practice components of forensic accounting. In the first, litigation services, the forensic accountant will serve as a testifying or consulting expert in court. In the second, investigative services, the forensic accountant works primarily behind the scenes and may or may not provide courtroom testimony. When engaging a forensic accountant who will serve as a testifying or consulting expert in court, it’s important for Los Angeles and Southern California executives to realize that attorney-client privilege generally does not extend to the forensic accountant. Attorney-client privilege is the oldest among several commonly recognized protected relationships, which also include the doctor-patient, husband-wife and clergyman-penitent relationships. It is defined as a client’s right to refuse to disclose and to prevent any other person from disclosing confidential communications between the client and the attorney. § The forensic accountant was hired to assist an attorney in providing effective and proper legal counsel. § The forensic accountant’s services were performed within the scope of an agency relationship with the attorney. § The forensic accountant was directed and controlled by the attorney during the entire engagement. § The forensic accountant had no prior relationship with the attorney’s client. § The forensic accountant invoiced and was paid by the attorney. If these criteria are met, then the forensic accountant is considered to be an extension of the law firm. From a legal standpoint, his or her communications with the client are made for the purpose of facilitating the rendering of legal services, not accounting services. Keep in mind, however, that in order for attorney-client privilege and work-product protection to be extended to the forensic accountant and his or her work, these criteria need to be in place at the beginning of case. It’s also important to note that if the forensic accountant is considered to be a consulting expert, the documents he or she reviews might be disclosed during discovery, even though his or her expert opinion is privileged. Therefore, once it is determined that the forensic accountant is a consulting expert, the engagement letter should clearly state the relationship and the scope of work. A testifying expert cannot become a consulting expert after rendering an opinion. § The client has a long-term relationship with the forensic accountant. § The forensic accountant (not the lawyer) was first engaged. § The attorney does not control or supervise the efforts or work product of the forensic accountant. If you hire a forensic accountant who will serve as a testifying or consulting expert in court, it’s critical that you take the necessary steps at the beginning of the case to ensure that attorney-client privilege is maintained and accountant work-product is protected. Failure to protect attorney-client privilege with a forensic accountant can result in severe consequences, including an unfavorable case outcome, negative goodwill, disciplinary action and even a malpractice claim. 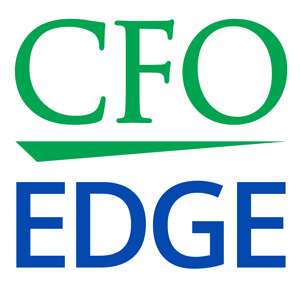 An outsourced CFO services provider who has a proven track record delivering forensic accounting services can help you make sure you have taken the appropriate steps to maintain this critical protected relationship.